Many people equate success with money, but I would argue that love is the currency of life. After 20 years of practicing as a psychotherapist, I’ve seen people with great wealth experience unhappiness and people with very few financial resources experience deep and profound joy. The difference is that those who are focused on externals, like money and achievement, are operating from ego—a false sense of self where enough is never enough. Those who are connected with their deeper being, their essence or authentic spirit, can experience happiness and joy by simply being fully present in the moment. When you are connected with essence, you are enough exactly as you are because the divine light in you is lovingly connected with the light inside everybody else in this world and beyond. Detachment from ego and connection with essence can occur through practices such as introspective reflection, meditation and yoga. These are all called “practices” because they are skills that need to be learned and developed over time. As part of the human condition, we all have egos and issues such as anxiety, depression, self-esteem concerns, addiction, etc. These issues are HOW we are, not WHO we are. We are all works in progress and can benefit from therapy or counseling at different points in our lives. Psychotherapy helps us to gain insights, new tools and resources, and real support as we detach from our egos and move through our issues on our own unique journey. Because our personal selves and our career success are two sides of the same coin, doing introspective work will allow you to be more successful in your profession. Self-awareness and emotional intelligence are key aspects of success in relationships and business. Success begins with an awakening, an honoring of the past for how it has shaped and molded us and a choice to take responsibility for our path going forward. It involves silencing our Inner Critic and choosing to become our most compassionate advocate and good parent as we move through life and pursue our dreams and purpose. Success requires the courage to speak your truth and detach from fears of criticism or failure. It involves resiliency, the ability to be flexible, creative and adaptable as you move through challenges along your journey. When you live your life and pursue its mission in a way that reflects love for self and others, you are brought into the flow of abundance. When you know you are deserving, you can welcome great prosperity (money, joy, friendship, support and any other resources) you would like to welcome into your life from the abundant and infinite universe. Prosperity allows one to be charitable and generous, sharing resources and bringing others up along the way. True success is to live life openly, lovingly and in alignment with the highest good of self and others—a fearless and faithful blossoming to the fullest extent possible. Start a daily practice of reflection through meditation, deep breathing, affirmations/mantra, yoga, journaling. Participate in psychotherapy, counseling, 12-step support, life coaching or any psycho-spiritual practice that will help you gain insight and awareness. Create your personal and professional vision or mission statement making sure it benefits both you and others—the universe will support a plan that is a win all around. Aim high and imagine what you would like if you had a magic wand. Create a vision board and keep a photo of it on your phone or hang it in your home or office as a reminder of all you are welcoming into your life. Develop a 1-3-5 year plan. Set up some accountability with your therapist, coach or with a friend or colleague. Operate with loving kindness for self and others. Tap into courage and detach from fear for it is fear of success that keeps many from living a greater life. Understand that setbacks are opportunities for growth and wisdom and persevere with resiliency and faith. Trust in the unfolding of your best life. 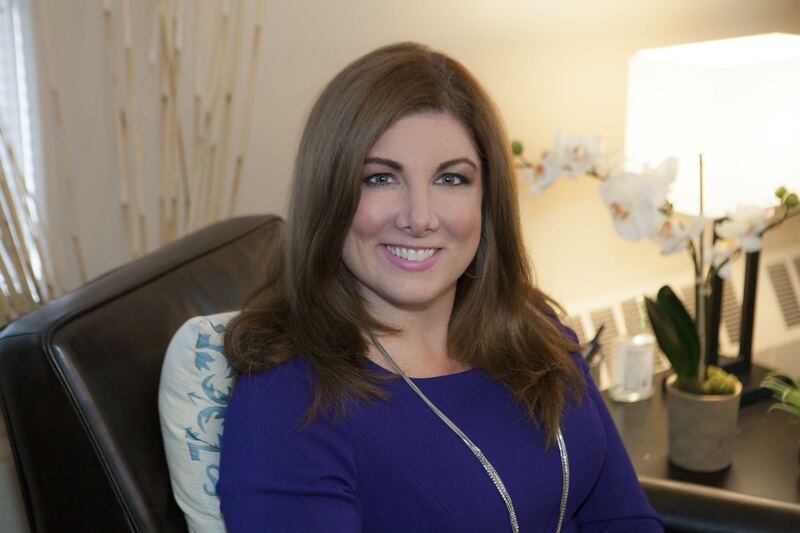 Joyce Marter has been a Licensed Clinical Professional Counselor since 1998 and is the Founder of Urban Balance. Joyce is a blogger for PsychCentral and The Huffington Post and is routinely consulted as a psychological expert in the media. She has been featured in outlets such as The Wall Street Journal, U.S. News & World Report, CNN and MTV. Joyce Marter Joyce Marter has been a Licensed Clinical Professional Counselor since 1998 and is the Founder of Urban Balance. Joyce is a blogger for PsychCentral and The Huffington Post and is routinely consulted as a psychological expert in the media. She has been featured in outlets such as The Wall Street Journal, U.S. News & World Report, CNN and MTV.